Lady Sovereign's career probably hasn't worked out the way she hoped it would. The UK rapper, who caught the public eye through her underground grime demos, had an exciting rise to fame when she was signed to Def Jam by Jay-Z himself earlier this decade. Her first album, Public Warning, was moderately successful, but not enough to earn her keep with the label. Her second album, Jigsaw, came out earlier this year to even less fanfare. Now, she's resorted to the last refuge for fading stars - reality TV. According to NME, Sovereign is in the running to appear on the trashy UK reality show Celebrity Big Brother. Fittingly, she'll be joined by a fallen rap hero from decades earlier. 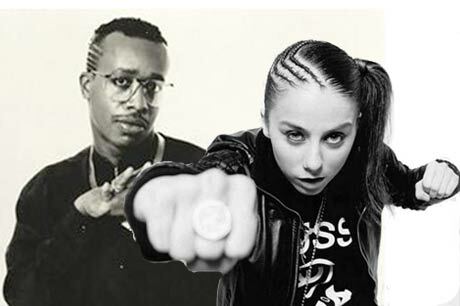 Namely, MC Hammer. Besides some British celebrities we've never heard of, the house is also expected to have Pam Anderson in attendance. Celebrity Big Brother returns to the UK's Channel 4 on December 31.